Die cut the Harp using gold foiled card stock and adhere dark green card stock to the back of the harp and cut it out. Die cut a flourish with gold foiled card stock. Adhere the harp to the card using foam squares to bump it up for dimension. This is gorgeous! 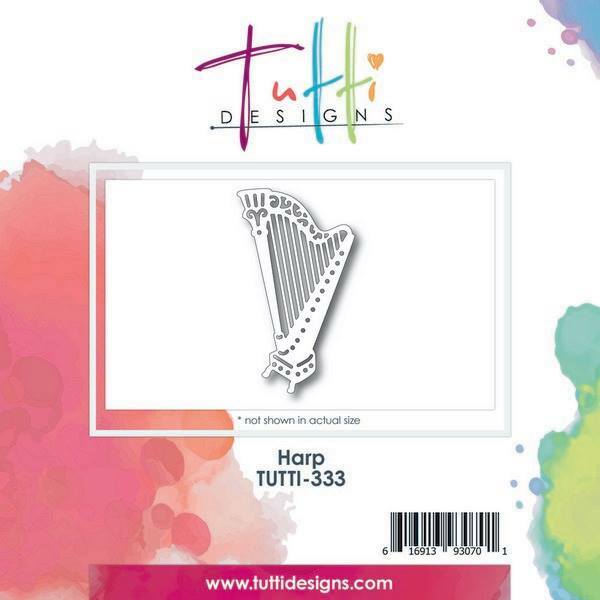 Love the detail of this Harp, so intricate, and it looks fabulous in gold! Awesome texture and design as well. Lovely card! What a fabulous and beautiful creation Debbie! Love the harp in gold and what a clever idea to have the flourish coming out the top. Awesome inspiration ... thanks!